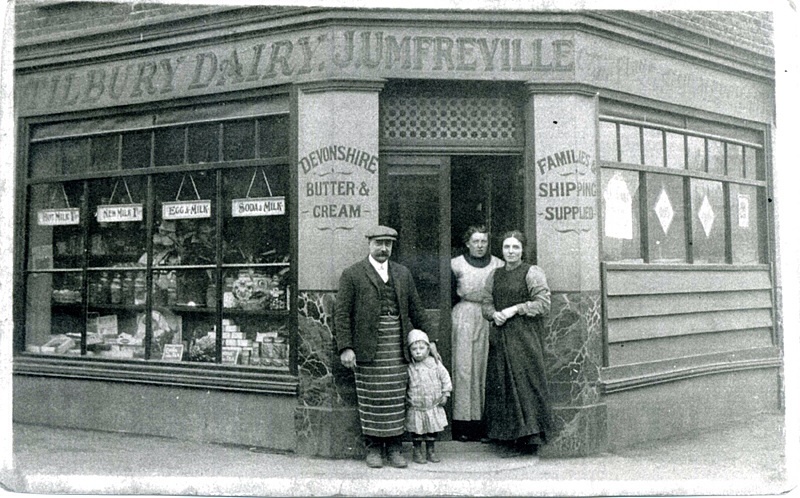 from left: John Roper Umfreville, Annie Umfreville age 4, unknown shopworker and Florence Emily Umfreville. I can’t remember Aunty Vera’s A40, but I can remember that her last car was a Morris 1100, and not sure about her getting out of second gear, I think it only stayed in first! Anyway Skinner’s garage managed to keep it going. 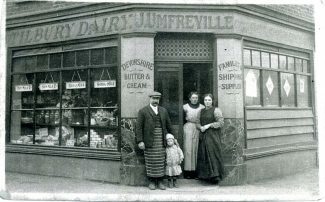 I remember Vera Umfreville running the shop when I was growing up in the 50’s and 60’s. She bought a little car, possibly an A40 and my father used to say that she never got out of second gear!